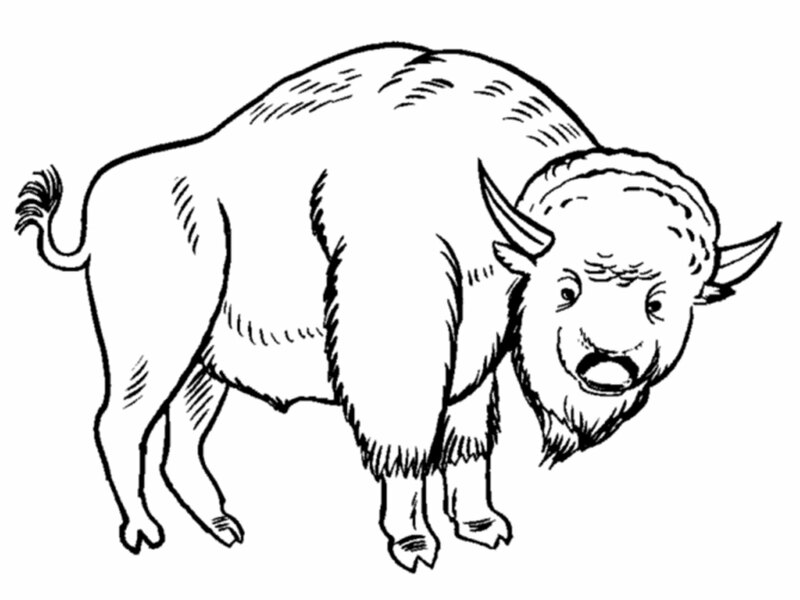 Bison are the largest land animals found only in America and Europe. 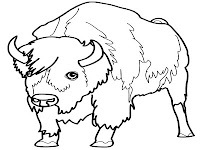 In America, bison typically live in river valleys and plains grasslands and dense bush-filled areas because they are animals whose main food is grass and bushes. 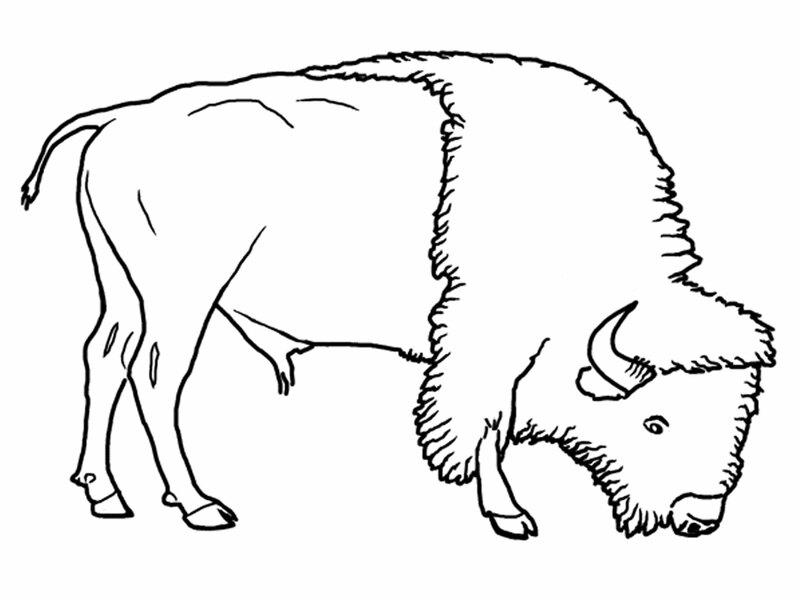 While most European bison live in the woods that is not too thick, and the plains were much overgrown shrubs. 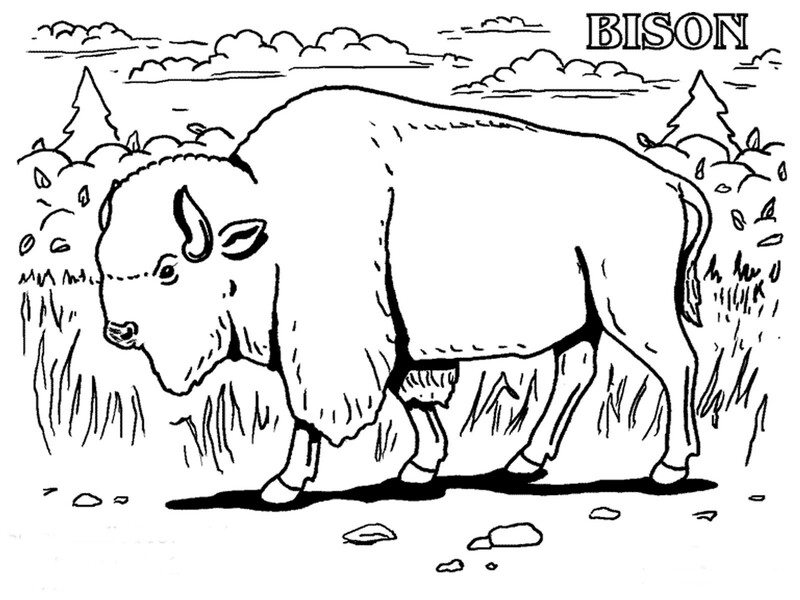 Bison is a horned mammals that live in groups, but not as a group of animals in general, bison herd usually grouped by gender and they will meet with another group when the mating season has arrived. 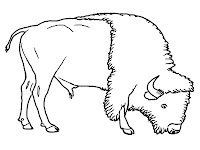 In the 1800's American bison once declared endangered, as its population continues to drop drastically due to human hunting and land clearing for settlement. 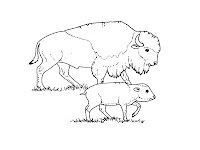 Seeing that some farmers took the initiative to begin developing a bison farm and wild bison is not only caught up to the present population of bison finally get out of the abyss of extinction although some species of bison still can not saved. 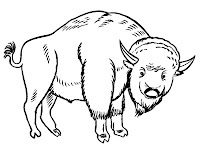 Despite having a very large body, but the bison was able to swim across the river as elephants and even up to 1 km and they were able to run at speeds of 50 km/h. 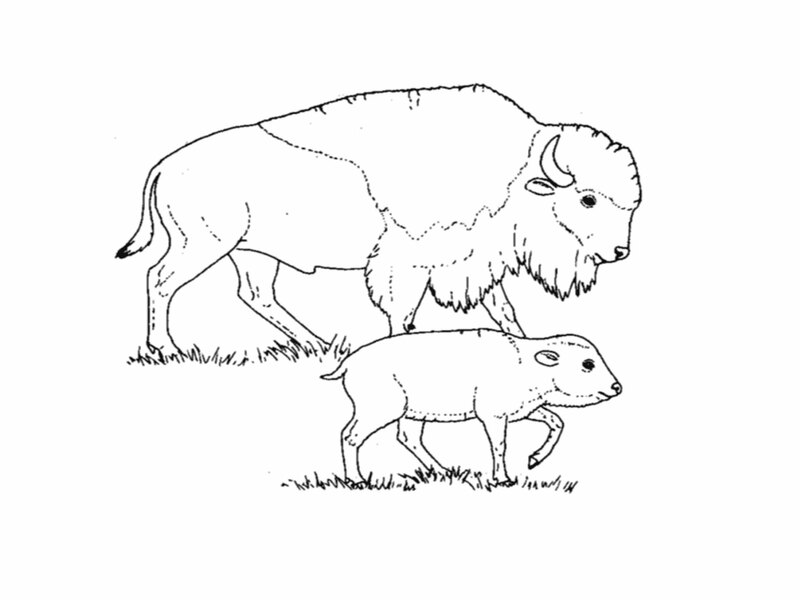 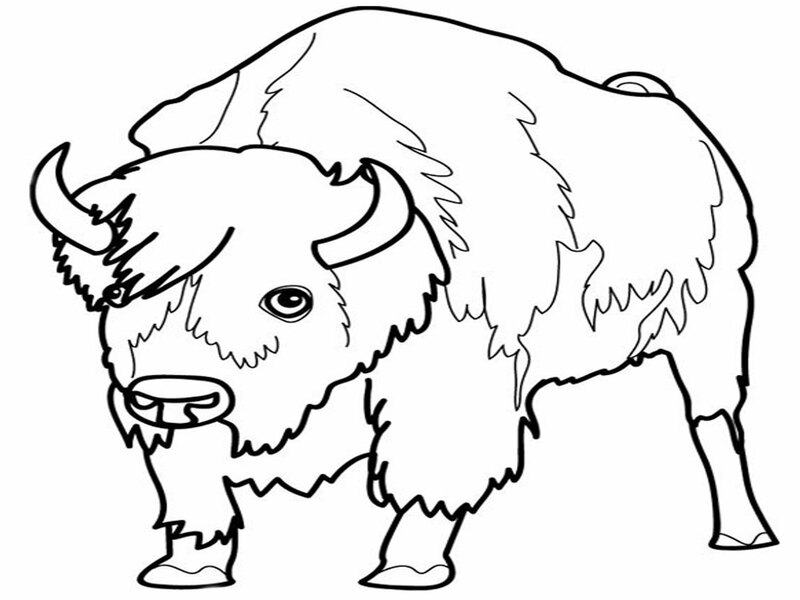 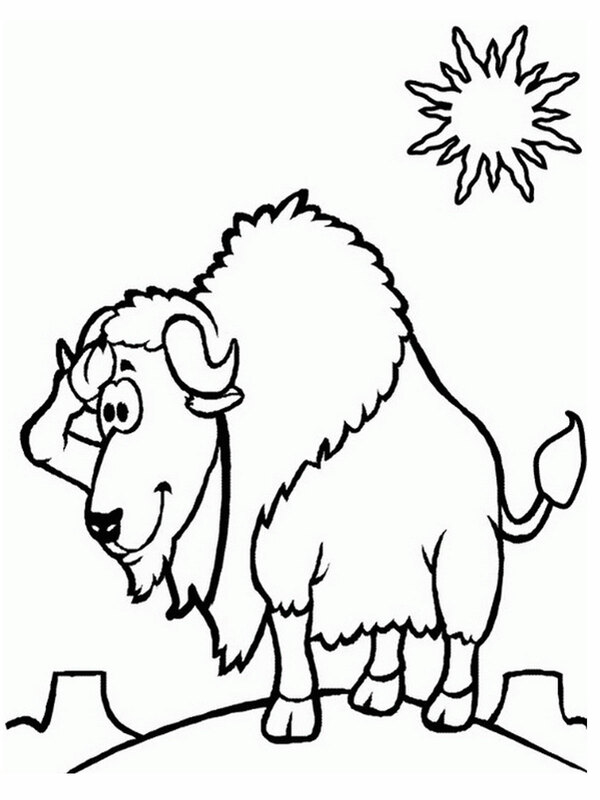 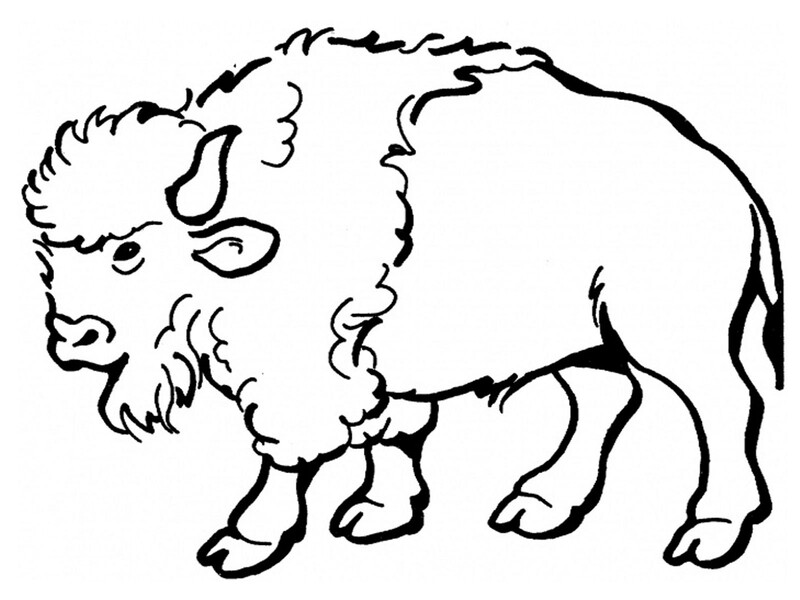 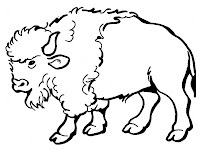 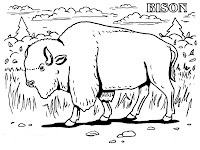 Today we share bison coloring pages for kids, Realistic Coloring Pages present 7 bison pictures to color and hope your kids will enjoy this coloring sheet activity. 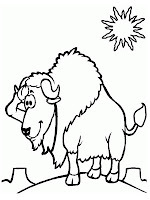 Happy painting !.